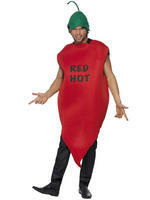 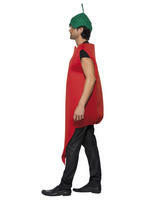 Spice up the night in this Adult Chilli Pepper Costume. It's perfect for Stags Nights or just a fun night out on the town. 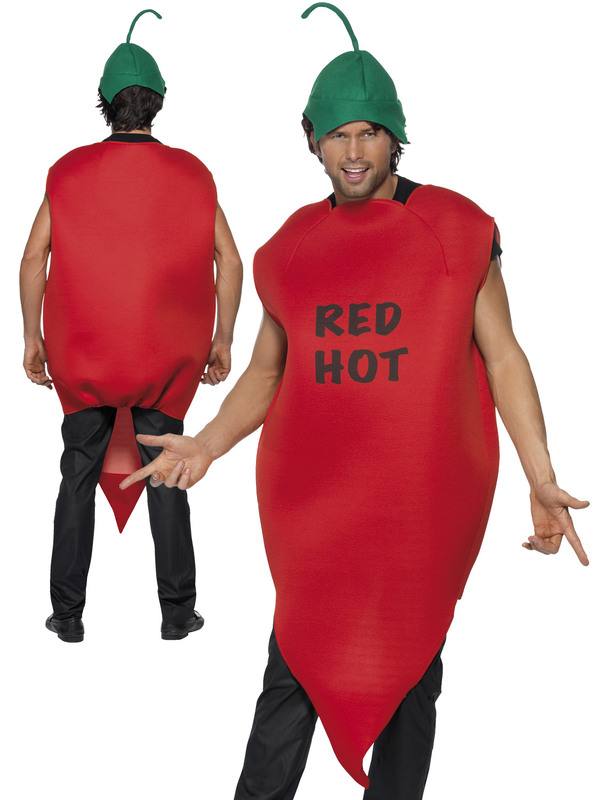 Includes a red bodysuit which is in the shape of a chilli and has 'Red Hot' printed on the chest. 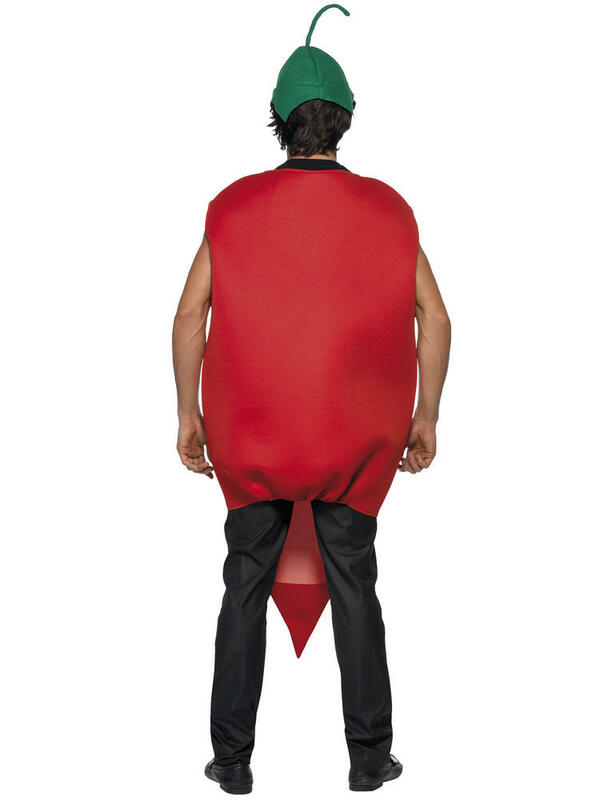 To complete the outfit in a green hat in the shape of a stalk.